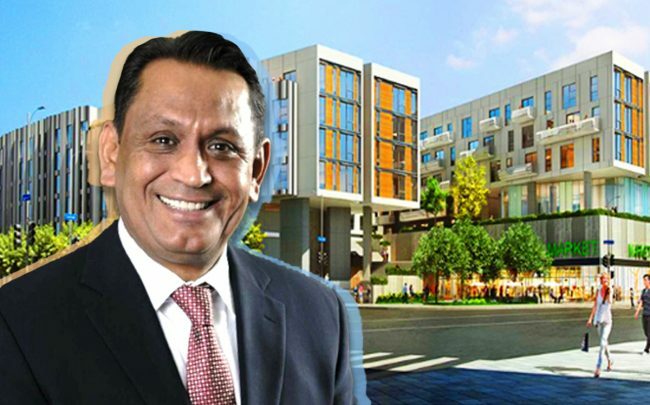 In December, the Los Angeles City Planning Commission said developer Atlas Capital could proceed with its massive College Station residential development as long the project included 37 affordable units. With 725 units in the complex, that would work out to about 5 percent of the total. Now, a City Council committee has reversed that ruling, and will not require any affordable apartments in the complex. The Council’s planning and land use committee approved the Chinatown project this week as a complete market-rate development, Curbed reported. The development, which will include 51,600 square feet of retail space, still needs final approval from the full City Council. The committee’s decision comes as most developers in the city are incorporating some affordable units into their market-rate projects. The city’s and California’s affordable housing crisis has become a major talking point for Gov. Gavin Newsom. This week, state lawmakers unveiled a sweeping package of housing bills meant to address the issue. A representative for New York-based Atlas argued there is no legal obligation for the company to build affordable units for the project. College Station would also not displace anyone, since it is set to rise on a vacant lot near Chinatown Gold Line station. L.A. has encouraged affordable construction near transit hubs through its Transit Oriented Communities, which gives density bonuses to developers whose market-rate projects rise there.